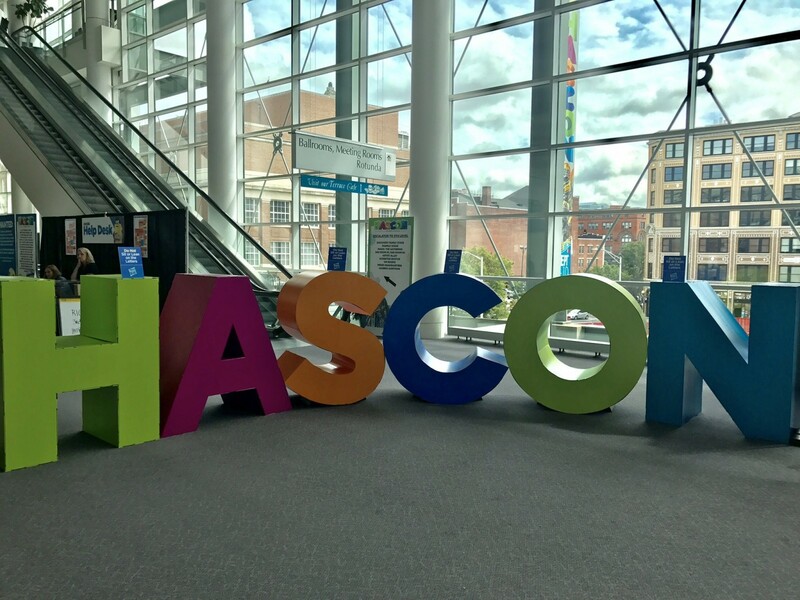 The official social media channels for Hasbro are currently kicking off the first ever HASCON event, over in Rhode Island! 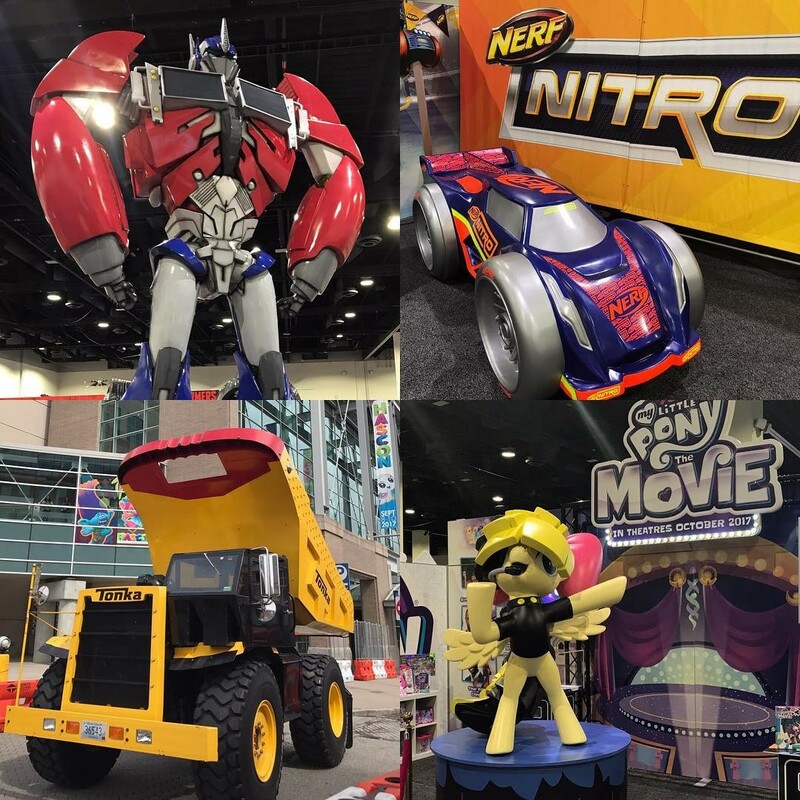 As the convention takes under its mantle several Hasbro properties, we are tuned it to follow all event Transformers (with some inevitable sides of GI Joe and the other characters in the shared universe such as Rom, MASK, and more). And we're in the panel room with Seibertron.com as the Transformers brand team runs through the various members of both Hasbro and Takara Tomy personnel present for the talk! Three Japanese designers have joined the Hasbro team for the event too: Shogo Hasui, Takashi Kunihiro, and Hall of Fame inductee Hideaki Yoke, plus interpreter Daizo Uehara. The first product presented and discussed has to do with the concept of Story, and Transformers: The Last Knight - the team shows a clip introducing the Allspark Tech line (which you can see covered here, too). The team is particularly excited about the story-driven features of the new toy line, from the electronics to the voice clips included in each of the figures. Next is more The Last Knight coverage, with the Knight Armour line of toys (as previously seen here, for example). Hasbro actually collaborated with Takara on the design for this line, and the helmet designs for the various figures are inspired by actual military wear from across the world. Swiftly moving on to the Robots in Disguise toy line, with discussion of the collaboration with the animation studios and the creation and design of the combiners from the show (such as Ultra Bee and Menasor). Discussing how the concept had to adhere to the idea of the multiple modes being compatible with each other, while also appealing to the multiple toys in one all in one box. After the major combiners, the team discusses the Crash Combiners instead, showing Strongarm and Optimus Prime as examples. Discussing the idea of reveals, and how the Prime Wars trilogy. Prime Masters being reintroduced along with the confirmation of Optimus Primal as new Prime after fan vote. Dinobot Slash - first female Dinobot, collaborated with Takara Tomy to create the Legends scale new character. 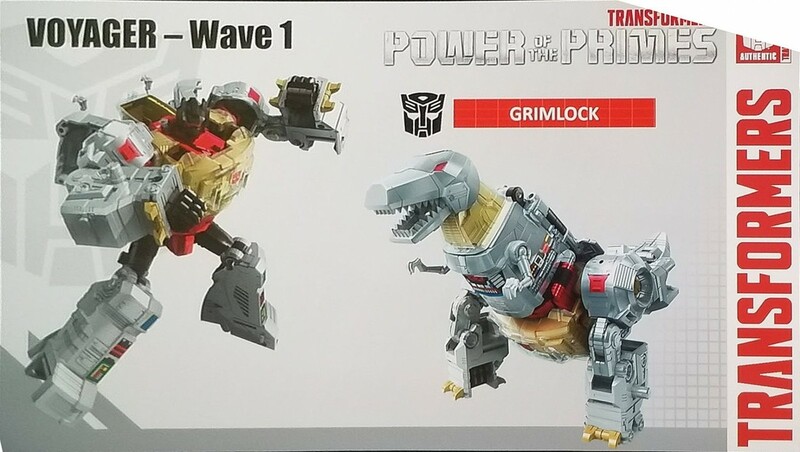 Voyager class Grimlock - poseable, interacts with Prime Masters. 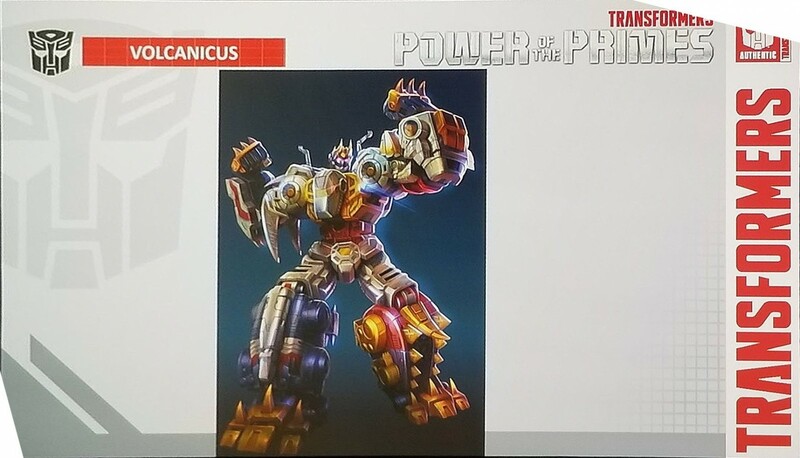 All new Dinobot combiner announced: Volcanicus! Sludge is leg, Snarl is other leg, Swoop and Slug is arms, Grimlock is torso. Had to think about the joints system for the combiners, in order to hold up the whole figure. Right amount of friction was hard to get. 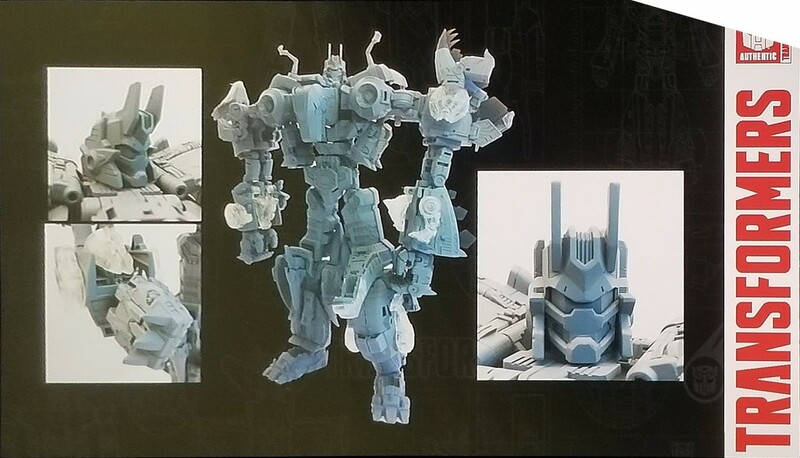 Leader class reveal - Optimus Prime. Evolving Deluxe Orion Pax into the Autobot Leader. Some design topics talking about getting the right space and friction for the Deluxe to fit. Discussing the interactive and play pattern for the Matrix and the other Prime-help crystals, blending old stories with new toyline. Titans Return Arcee and Titans Return Ultra Magnus, as seen before. Optimus Prime Power Bank also seen before. A final teaser was the silhouette for Predaking, as per the mockup seen recently. A question about a new Shockwave, which 'will be taken into consideration'. 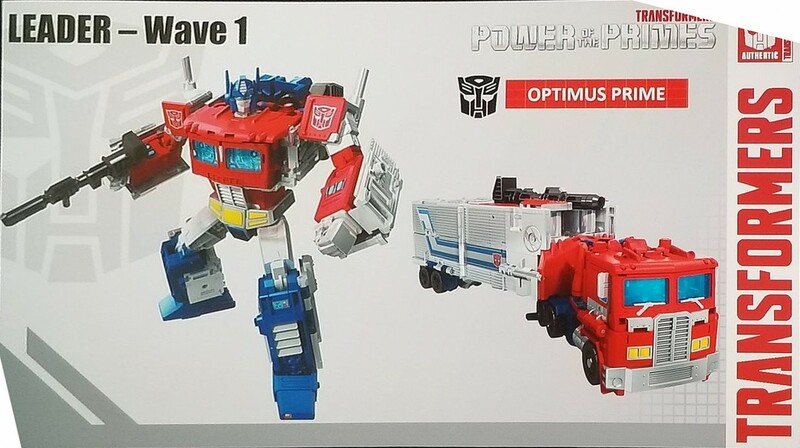 So leader Prime is deluxe Orion Pax (cab) with the trailer attached? And I like the Dinobots individually, but that combined mode? Ehh. 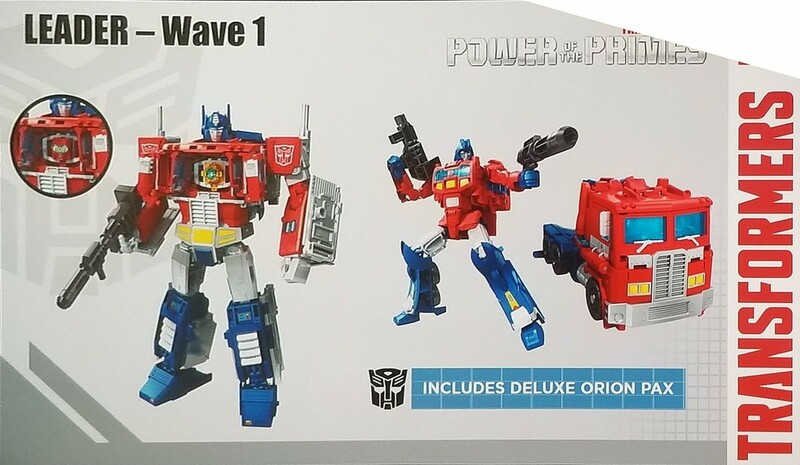 Looks like they have the packaging at least from that Power Bank Optimus coming out. Kyleor wrote: Looks like they have the packaging at least from that Power Bank Optimus coming out. All exclusives are available at the show. Leader OP looks incredible though. Amazing to see those great triumphs at the same time as hilarious stumbles like deluxe Sludge. Edit: Also, I guess RiD is done? Seemed that way but this maybe sealed it. If so, they should feel really bad about how they handled it for the past year after it got off to a pretty solid start. Right there with you on RID, they could have at least said something about it being done or now. Instead they talked about older gimicks and toys we saw before, why I have no clue. The lack of attention given to that line is always puzzling, especially considering its one of their big sellers. We dont even know if that last wave (the one found in practically every other country) is ever coming to US stores. Anyways, about that Leader OP, what I like best is how solid it looked in its full combined mode. The guy was handling it like any other leader figure without having to make sure anything would untab. Thanks to Cyberpath for fixed images! Sabrblade wrote: Hey look, it's that statue of the Optimus Prime from that one cartoon that ended 3-4 years ago. Compared to an optimus from a cartoon that ended 30 years ago? You mean the one that most consider timeless and refuse to let die? Point stands. Some of us love the prime show the way others love g1. Now where's my statue of Primal?! As for the statue, it's been around since SDCC 2010 (saw it in person at Botcon 2011)...at this point, I think its safe to assume that Hasbro uses it to represent Optimus Prime as a character overall, they don't see it as Prime from TF : Prime, they just see it as Optimus Prime period....and plus they probably paid a lot so you are going to see it for many years to come . I'm surprised they didn't show Hun-Gurrr, unless there's going to be more reveals as the event goes on. 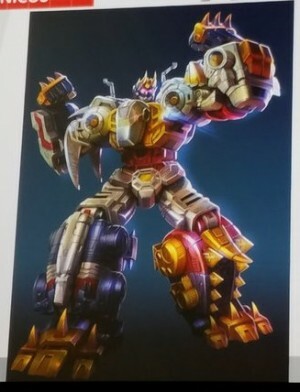 As hilarious as it would have been for Volcanicus to look like the Beast just to see how people reacted, he still looks decent and I'm definitely going to get every Dinobot. Slash is cute, but it doesn't look like she combines with Volcanicus (unless I'm just not seeing it). It would be a shame if she was another Wreck-Gar situation, where she's initially marketed as being part of a Combiner but actually isn't. 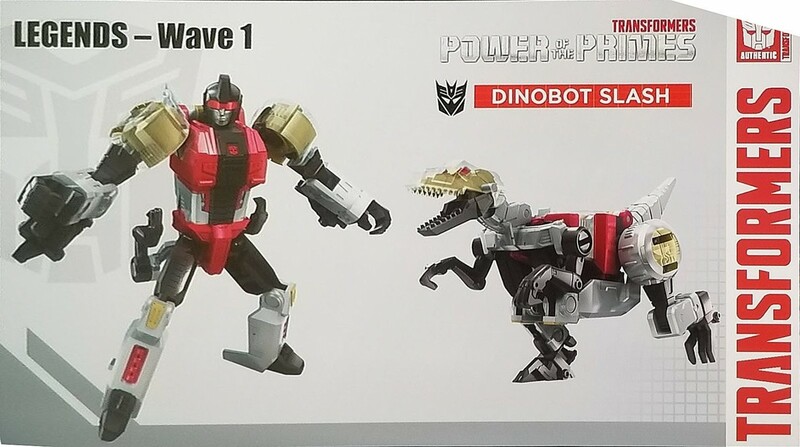 Well,hopefully this can finally end the agony of not knowing whether PotP Starscream is going to be a combiner torso, since we "didn't know" this because Hasbro didn't officially state it, even though it was obvious from the SDCC pictures, and even the pictures shown at the prepanel today. I know the suspense had been killing me. they really out did themselves this time. EVOLVING as a transformation feature? 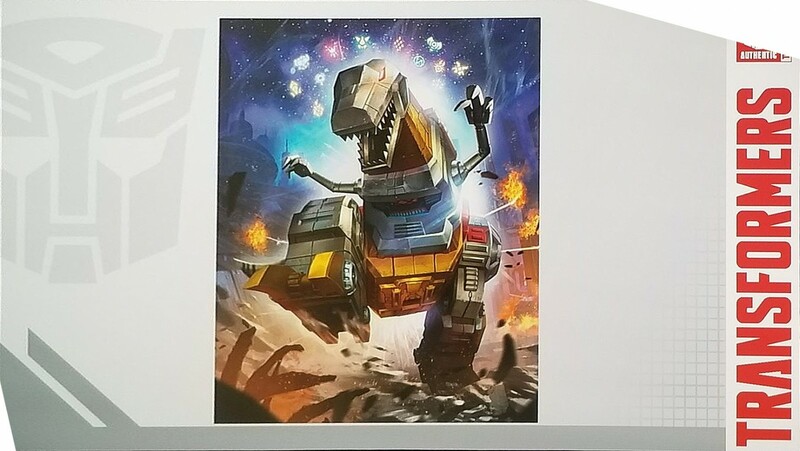 I'm sure there will be other reveals, they would not have teased images of the Terrorcons without showing them at some point. Also...I too am hoping for legends class integration as either a weapon or that actually fits on the combiner somehow. Still...there's fan modes even if Hasbro doesn't come up with something officially. Munkky wrote: Slash is cute, but it doesn't look like she combines with Volcanicus (unless I'm just not seeing it). It would be a shame if she was another Wreck-Gar situation, where she's initially marketed as being part of a Combiner but actually isn't. I'd find it very odd if they specifically made a new Dinobot - with a new mold no less - to go along with the Dinobot combiner... and there was no integration. Either way, I'm not complaining -- I love her and I'm getting her nonetheless! I'm guessing that Slash will transform into a weapon. Maybe a sword or hammer type thing. I just noticed this from looking at the images, but the Prime masters or whatever they're being called, the Pretenders...they're basically this as the Titanmaster figures now, right? It looks like the same thing, only with a dedicated robot form, whereas some of the Titanmaster things are dinosaurs or some other type of vehicle. I don't own any of the Titanmaster ones, but I'm thinking of Apeface, whose little vehicle thing is a jet and an ape. These new things are essentially the same thing, right? Dagon wrote: I just noticed this from looking at the images, but the Prime masters or whatever they're being called, the Pretenders...they're basically this as the Titanmaster figures now, right? It looks like the same thing, only with a dedicated robot form, whereas some of the Titanmaster things are dinosaurs or some other type of vehicle. I don't own any of the Titanmaster ones, but I'm thinking of Apeface, whose little vehicle thing is a jet and an ape. These new things are essentially the same thing, right? The Prime Masters are the replacement for the Titan Master class, yeah. Functionally these Prime Masters work the exact same as Titan Masters -- same connectivity and everything. The thing replacing the head mode though is supposed to be some sort of engine or power source, so if it helps think of these like the new Powermasters. Kurona wrote: I'd find it very odd if they specifically made a new Dinobot - with a new mold no less - to go along with the Dinobot combiner... and there was no integration. Either way, I'm not complaining -- I love her and I'm getting her nonetheless! Well, that mold could have been done for cindersaur since we know he uses the very same mold. Rad. I know that this is old news, but I skipped the tiny guys in Titans Return, so I didn't pay much attention to these. 5,180 pages were recently viewed by 477 unique visitors. This page was viewed 1 times on Tuesday, April 23rd 2019 1:54am CDT. © 2019 Seibertron, Inc. DBA Seibertron.com. All Rights Reserved. Established June 2000. Seibertron.com is owned by Ryan Yzquierdo.